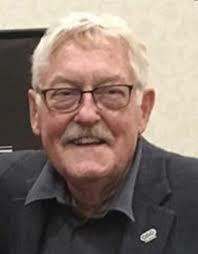 Stewart Farnell, husband, father, grandpa, brother, friend and coach, of Onanole, MB formally of Brandon, MB passed away at the Minnedosa Health Centre on January 7, 2019 at the age of 77 years. Survived by wife Helga, sons Sean (Monica), Jason (Kristie) and grand children Charli-Shaylene, Jordan and Parker as well as brother Phillip (Jan). Stew touched many lives in his 77 years. A celebration of his life will be held this summer at his favourite place in the world and his home, Clear Lake, MB. Memorial donations may be made to CancerCare Manitoba.